Makes pond water clean and clear. Breaks down dead algae. Increases the concentration of dissolved oxygen in pond water. 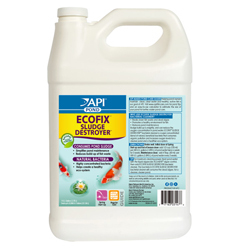 Helps create a healthy ecosystem for pond fish. Can be used in ponds containing salt. Maintenance Dose Add 4 tbsp. per 250 gallons every two weeks.